I invite you to listen to the archived shows by clicking on the links below. The Shelly Wilson Show with Speakers from the 2015 Transformation Conference 05/27 by The Shelly Wilson Show | Spirituality Podcasts. Spirit Sessions with Drew and Shelly 05/20 by The Shelly Wilson Show | Spirituality Podcasts. The Shelly Wilson Show with Carole Grace 05/13 by The Shelly Wilson Show | Spirituality Podcasts. The Shelly Wilson Show with Diane Wing 05/06 by The Shelly Wilson Show | Spirituality Podcasts. The Shelly Wilson Show with Dee Wallace 05/05 by The Shelly Wilson Show | Spirituality Podcasts. The Shelly Wilson Show with Drew Cali and the Mediums at Large 04/29 by The Shelly Wilson Show | Spirituality Podcasts. The Shelly Wilson Show with Anthony Mrocka 04/22 by The Shelly Wilson Show | Spirituality Podcasts. Spirit Sessions with Drew and Shelly 04/15 by The Shelly Wilson Show | Spirituality Podcasts. The Shelly Wilson Show with Tom Zuba 04/08 by The Shelly Wilson Show | Spirituality Podcasts. Spirit Sessions with Drew and Shelly 04/01 by The Shelly Wilson Show | Spirituality Podcasts. The Shelly Wilson Show with Psychic Medium Justin Schmoyer 03/25 by The Shelly Wilson Show | Spirituality Podcasts. OMTimes Interview with Anna Taylor 03/18 by The Shelly Wilson Show | Spirituality Podcasts. Spirit Sessions with Drew and Shelly 03/11 by The Shelly Wilson Show | Spirituality Podcasts. The Shelly Wilson Show with Guy Finley 03/05 by The Shelly Wilson Show | Spirituality Podcasts. Spirit Sessions with Drew and Shelly 03/04 by The Shelly Wilson Show | Spirituality Podcasts. The Shelly Wilson Show with Kyle Cease 02/25 by The Shelly Wilson Show | Spirituality Podcasts. OMTimes Interview with Colette Baron-Reid 02/13 by The Shelly Wilson Show | Spirituality Podcasts. OMTimes Interview with Baptist de Pape 02/09 by The Shelly Wilson Show | Spirituality Podcasts. The Shelly Wilson Show with Jackie L. Robinson 10/22 by The Shelly Wilson Show | Spirituality Podcasts. The Shelly Wilson Show with Lindsay Lipton Gerszt 10/15 by The Shelly Wilson Show | Spirituality Podcasts. 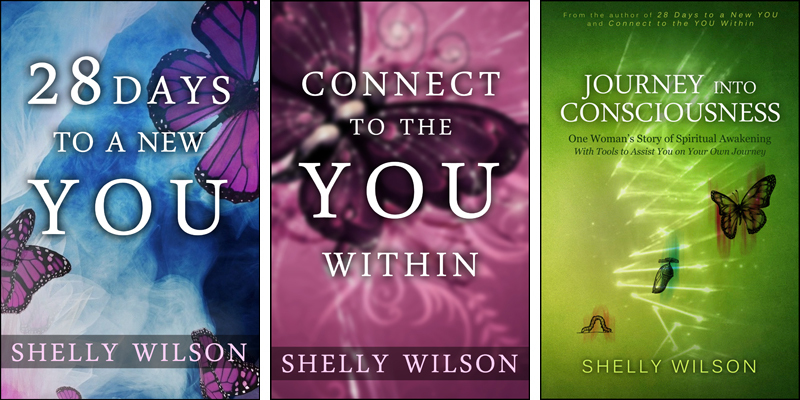 The Shelly Wilson Show with Sherri Cortland 10/08 by The Shelly Wilson Show | Spirituality Podcasts. The Shelly Wilson Show with the Wellness Universe founders 10/01 by The Shelly Wilson Show | Spirituality Podcasts. The Shelly Wilson Show with Dannion Brinkley 09/24 by The Shelly Wilson Show | Spirituality Podcasts. The Shelly Wilson Show with Marie D. Jones 09/17 by The Shelly Wilson Show | Spirituality Podcasts. The Shelly Wilson Show 09/03 by The Shelly Wilson Show | Spirituality Podcasts. The Shelly Wilson Show 08/27 by The Shelly Wilson Show | Spirituality Podcasts. The Shelly Wilson Show with Glenn Scarpelli and Jerry Gilden 08/20 by The Shelly Wilson Show | Spirituality Podcasts. The Shelly Wilson Show 08/13 by The Shelly Wilson Show | Spirituality Podcasts. The Shelly Wilson Show with Bob Olson 08/06 by The Shelly Wilson Show | Spirituality Podcasts. The Shelly Wilson Show 06/11 by The Shelly Wilson Show | Spirituality Podcasts. The Shelly Wilson Show with Kimberley Lovell 05/28 by The Shelly Wilson Show | Spirituality Podcasts. The Shelly Wilson Show with Panache Desai 05/21 by The Shelly Wilson Show | Spirituality Podcasts. The Shelly Wilson Show with Anna Taylor 05/14 by The Shelly Wilson Show | Spirituality Podcasts. The Shelly Wilson Show with Sheryl Glick 05/07 by The Shelly Wilson Show | Spirituality Podcasts. The Shelly Wilson Show 04/30 by The Shelly Wilson Show | Spirituality Podcasts. The Shelly Wilson Show with Paul Selig 04/23 by The Shelly Wilson Show | Spirituality Podcasts. The Shelly Wilson Show with John Connors 04/16 by The Shelly Wilson Show | Spirituality Podcasts. Expressions of Spirit 04/09 by The Shelly Wilson Show | Spirituality Podcasts. The Shelly Wilson Show with Paul R. Lipton 04/02 by The Shelly Wilson Show | Spirituality Podcasts. The Shelly Wilson Show with Barbara Patterson 03/26 by The Shelly Wilson Show | Spirituality Podcasts. The Shelly Wilson Show with Kathleen O’Keefe-Kanavos 03/19 by The Shelly Wilson Show | Spirituality Podcasts. OMTimes Interview with Spiritual Medium James Van Praagh 03/17 by The Shelly Wilson Show | Spirituality Podcasts. The Shelly Wilson Show 03/12 by The Shelly Wilson Show | Spirituality Podcasts. Expressions of Spirit 03/10 by The Shelly Wilson Show | Spirituality Podcasts. Spirit Sessions with Drew and Shelly 02/26 by The Shelly Wilson Show | Spirituality Podcasts. The Shelly Wilson Show with Lisa Atkinson 02/19 by The Shelly Wilson Show | Spirituality Podcasts. The Shelly Wilson Show with Drew Cali 02/12 by The Shelly Wilson Show | Spirituality Podcasts. The Shelly Wilson Show with Mark Ireland 02/05 by The Shelly Wilson Show | Spirituality Podcasts. Expressions of Spirit 02/03 by The Shelly Wilson Show | Spirituality Podcasts. The Shelly Wilson Show with Sera Beak 01/29 by The Shelly Wilson Show | Spirituality Podcasts. The Shelly Wilson Show with Psychic Medium Lisa Bousson 01/22 by The Shelly Wilson Show | Spirituality Podcasts. The Shelly Wilson Show with Drew Cali 01/15 by The Shelly Wilson Show | Spirituality Podcasts. The Shelly Wilson Show with Psychic Medium Anthony Hidalgo 01/08 by The Shelly Wilson Show | Spirituality Podcasts. Expressions of Spirit 01/06 by The Shelly Wilson Show | Spirituality Podcasts. The Shelly Wilson Show with Drew Cali 12/18 by The Shelly Wilson Show | Spirituality Podcasts. Expressions of Spirit 12/11 by The Shelly Wilson Show | Spirituality Podcasts. The Shelly Wilson Show 12/04 by The Shelly Wilson Show | Spirituality Podcasts. The Shelly Wilson Show 11/27 by The Shelly Wilson Show | Spirituality Podcasts. Expressions of Spirit 11/18 by The Shelly Wilson Show | Spirituality Podcasts. The Shelly Wilson Show 11/13 by The Shelly Wilson Show | Spirituality Podcasts. The Shelly Wilson Show with Jennifer Urezzio 11/06 by The Shelly Wilson Show | Spirituality Podcasts. The Shelly Wilson Show with Jeff Olson 10/30 by The Shelly Wilson Show | Spirituality Podcasts. The Shelly Wilson Show 10/23 by The Shelly Wilson Show | Spirituality Podcasts. The Shelly Wilson Show – Love’s Whisper 2013 10/16 by The Shelly Wilson Show | Spirituality Podcasts. The Shelly Wilson Show with Bill Philipps 10/14 by The Shelly Wilson Show | Spirituality Podcasts. The Shelly Wilson Show with Fay Hart 10/09 by The Shelly Wilson Show | Spirituality Podcasts. The Shelly Wilson Show with Sue Frederick 10/07 by The Shelly Wilson Show | Spirituality Podcasts. The Shelly Wilson Show with Jack Churchward 10/02 by The Shelly Wilson Show | Spirituality Podcasts. The Shelly Wilson Show with Charmian Redwood 09/25 by The Shelly Wilson Show | Spirituality Podcasts. The Shelly Wilson Show with Garnet Schulhauser 09/18 by The Shelly Wilson Show | Spirituality Podcasts. The Shelly Wilson Show with Patty Greer 09/04 by The Shelly Wilson Show | Spirituality Podcasts. The Shelly Wilson Show with Paul R. Lipton 08/28 by The Shelly Wilson Show | Spirituality Podcasts. The Shelly Wilson Show with Christie Aphrodite 08/21 by The Shelly Wilson Show | Spirituality Podcasts. Annie Kagan on The Shelly Wilson Show 08/07 by The Shelly Wilson Show | Spirituality Podcasts. Paul Selig on The Shelly Wilson Show 07/24 by The Shelly Wilson Show | Blog Talk Radio. John J. Oliver on The Shelly Wilson Show 07/17 by The Shelly Wilson Show | Blog Talk Radio. Dr. Eric Pearl on The Shelly Wilson Show 07/15 by The Shelly Wilson Show | Blog Talk Radio. The Shelly Wilson Show 06/26 by The Shelly Wilson Show | Blog Talk Radio. The Shelly Wilson Show 06/19 by The Shelly Wilson Show | Blog Talk Radio. The Shelly Wilson Show 04/24 by The Shelly Wilson Show | Blog Talk Radio. The Shelly Wilson Show 04/10 by The Shelly Wilson Show | Blog Talk Radio. The Shelly Wilson Show 03/27 by The Shelly Wilson Show | Blog Talk Radio. The Shelly Wilson Show 03/13 by The Shelly Wilson Show | Blog Talk Radio. The Shelly Wilson Show 03/06 by The Shelly Wilson Show | Blog Talk Radio. The Shelly Wilson Show 02/27 by The Shelly Wilson Show | Blog Talk Radio. The Shelly Wilson Show 02/13 by The Shelly Wilson Show | Blog Talk Radio. The Shelly Wilson Show 02/06 by The Shelly Wilson Show | Blog Talk Radio. The Shelly Wilson Show 01/23 by The Shelly Wilson Show | Blog Talk Radio. Sacred Circle Mondays 01/21 by The Shelly Wilson Show | Blog Talk Radio. The Shelly Wilson Show 01/16 by The Shelly Wilson Show | Blog Talk Radio. The Shelly Wilson Show 01/09 by The Shelly Wilson Show | Blog Talk Radio. The Shelly Wilson Show 01/02 by The Shelly Wilson Show | Blog Talk Radio.